That hypothetical question — Would a Whole Foods make it in Midtown? — is just that. I have not heard even the tiniest peep about this actually happening. In Flyerland, we talk a lot about grocery stores, so this question has come up before. What brought it up most recently was the Wall Street Journal story (warning: paywall) about Whole Foods opening a store in Detroit, Michigan. Many consider Memphis and Detroit to be twin souls in regards to civic struggle, and the article was passed along to me by a coworker on that note. He said that the company's move signals a willingness to test out markets, something that might bode well for Midtown in the future. He does not, however, think a Whole Foods in Midtown would make it. Another coworker — who, by the way, likes the Union Kroger — thinks Midtown would definitely support the market. For my part, I don't know. This is not a copout, an attempt to be democratic or unbiased. I simply don't know. One point that has always been brought up (and this is pre-Journal story) lands on the won't-make-it-side, and it is that the Squash Blossom-turned-Wild Oats on Union was absorbed into the East Memphis location that eventually became Whole Foods. The reason given, per this Daily News article was declining sales. It's worth noting, though, that this was more than a decade ago, and both buying and eating habits have changed. Witness the wealth of farmers markets that have opened in this area in just the past few years. Now let's get back to that Memphis/Detroit connection. It's important to recognize that this is Detroit's first Whole Foods. Do these "considerations" essentially disqualify Midtown? Is the East Memphis Whole Foods too central? Is there a space for a store? Do Midtowners fit the demographic? 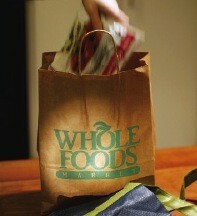 For my part, if a Whole Foods were to open in Midtown, you would see me there with my reusable totes. There's another scenario that I would support — a locally owned Miss Cordelia's-like market. So, now I'm asking you that hypothetical question: Would a Whole Foods make it in Midtown? Why or why not?